CASM is now an AMPS affiliate chapter! 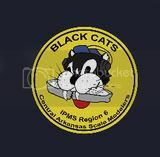 Central Arkansas Scale Modelers, in its current form, was born in 1999 and it became an official chapter of the International Plastic Modelers Society (IPMS) shortly thereafter. It has been the desire of CASM members over the years to broaden our base and become a dual charter club and affiliate with the Armor Modeling and Preservation Society, or AMPS for short. While IPMS caters to a very broad spectrum of model interest, AMPS targets the armor-modeling genre specifically. AMPS has its own shows across the country each year, but its membership is not nearly as large as IPMS. By becoming an affiliate of AMPS, the CASM club will be able to take advantage of more exposure and advertising within the AMPS network, as well as drawing in modelers that might not otherwise visit a strictly IPMS show. There are no changes required with the way that we already conduct our club to be an AMPS affiliate. The only requirement is to have at least one AMPS national member (which we do). An AMPS representative officer, John Charvat, came to the recent Sproo-Doo contest and finalized the process. As of now, Central Arkansas Scale Modelers is not only an IPMS chapter, but also an AMPS affiliate chapter. CASM is a thriving club and I believe that becoming a dual charter will only strengthen us. Click here for the AMPS website!